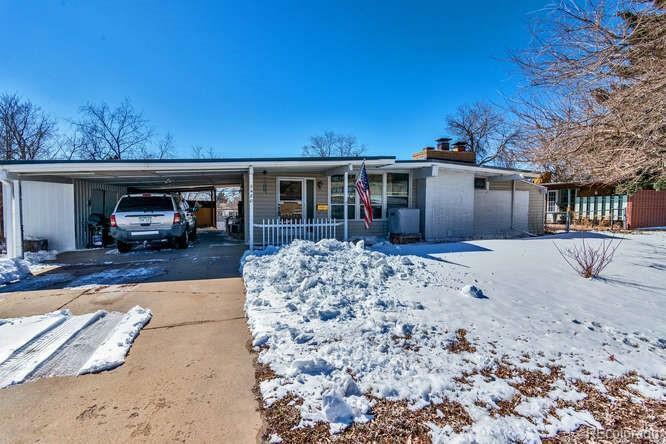 Well maintained home in the Fairview area of north Denver. 3 bedrooms, 3 bathrooms, family room with wood burning fireplace, newer carpet, windows, water heater and furnace, an office and a bonus room for extra space! Opportunity for 4th bedroom in the basement. Large fenced in yard with shed that stays. Walk to school and close to transportation, great location to Downtown Denver and to Boulder!